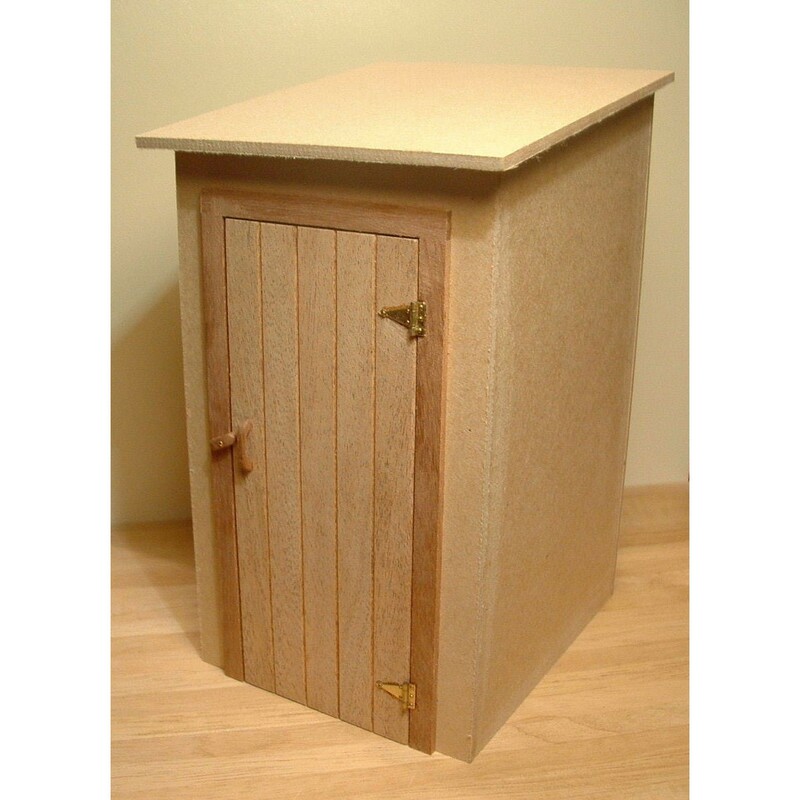 Versatile and useful outhouse with opening door and lift off roof. Lots of potential uses: at the bottom of the garden as an outside toilet, near the kitchen door as a vegetable store or against the back or side of the house as a porch. The kit is made up of 7 MDF pieces for the body, 3 mahogany pieces for the door surround, catch with nail and door handle, handmade planked door, 2 hinges, pins and detailed assembly instructions.